Do you have deep lines or wrinkles that you just hate? 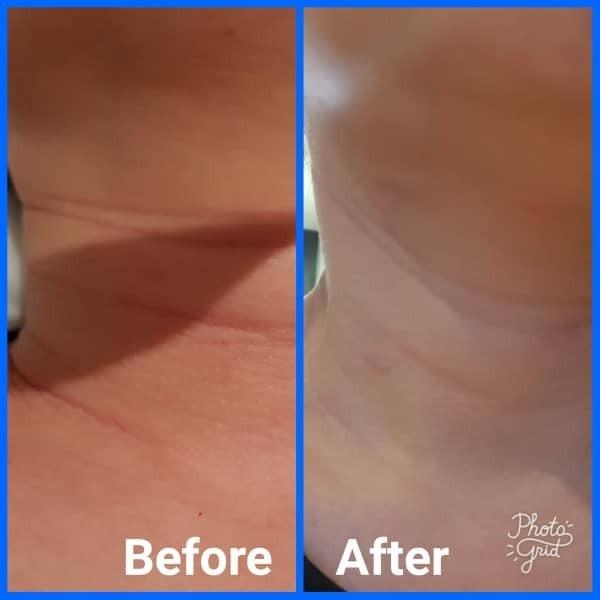 One of our customers did and now look, after just one treatment. But the best news is the treated area just keeps on getting better for months to come. She is so happy with the results she gave us her before and after photo. She came back the next day to thank us for such fantastic results. If you are after real treatments that just work, with real results you know where to find them, at Xara Skin Clinic. What more can we say? The photo doesn’t lie. We offer free obligation free consultations, you can book on line or over the phone. Please share this with your friends. Come and see us, we are one of Lane Cove's best kept secrets. We are one of the best, one stop shops for all your skincare and beauty needs in Sydney.